After a well earned break in the sun, Jules our chef has come back to work and reviewed our menus. Menus are reviewed regularly to make sure the children receive a varied nutritious meal every day. Jules also prepares vegetarian versions of each dish, as well as catering for food allergies and dietary requirements. 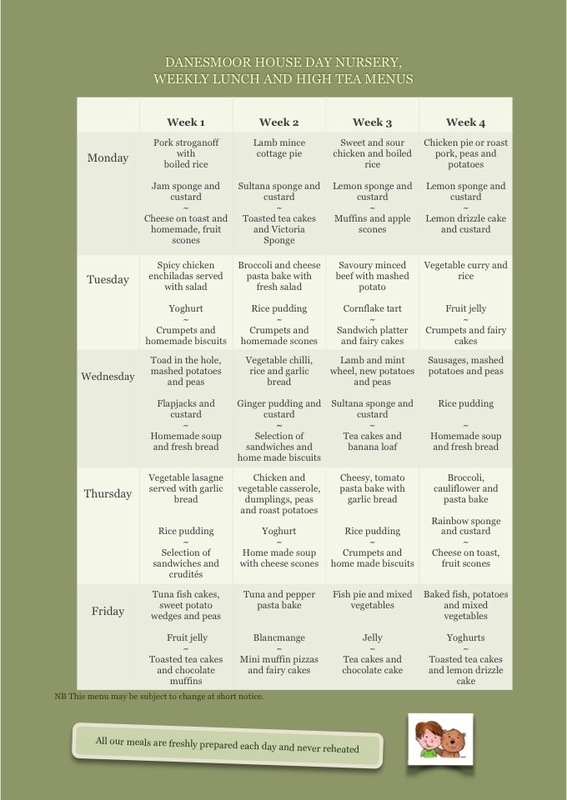 Our new four week menu is detailed below. If there are any suggestions that you would like to make, favourite meals etc please feel free to let us know and we will endeavour to include it. All of our food is cooked from fresh daily and all our meat is from a reputable source.